Today's organizing task is the bathroom medicine cabinet. Depending on your needs your medicine cabinet can be used in many different ways. A common misnomer is to keep medication in the medicine cabinet. The name is misleading, I know, but if your medicine cabinet is located in the bathroom, like mine, then you should remove all medication. The nerd in me wants you to know that heat, light and moisture can cause the active ingredients in your medication to decompose. We do want our medicine to work when needed. Right?! So do yourselves a favor and relocate your drugs to a safe place away from extreme moisture and temperatures. The best way to organize is to stay focused on the task at hand and try to make decisions quickly. This will be easy cause we are only dealing with lotions and potions, sort of speak! Follow these 4 simple steps and you will have a clean and organized medicine cabinet in less than 15 minutes. Sort & Purge | Go through all your products, checking expiration dates. Sort into these categories - KEEP, TOSS, RELOCATE. If you haven't used an product in a year toss it and relocate all medication to a safe place after you check the expiration dates. 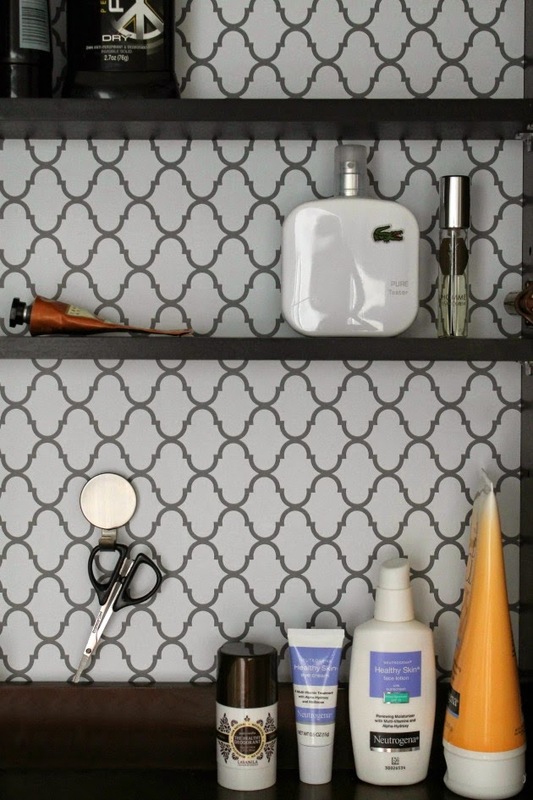 Organize | Only the items you frequently use should go back into the medicine cabinet. Everything else should be put away in long term storage under your sink or linen closet. Group like things together. Now is the time to determine if you need any additional storage solutions. 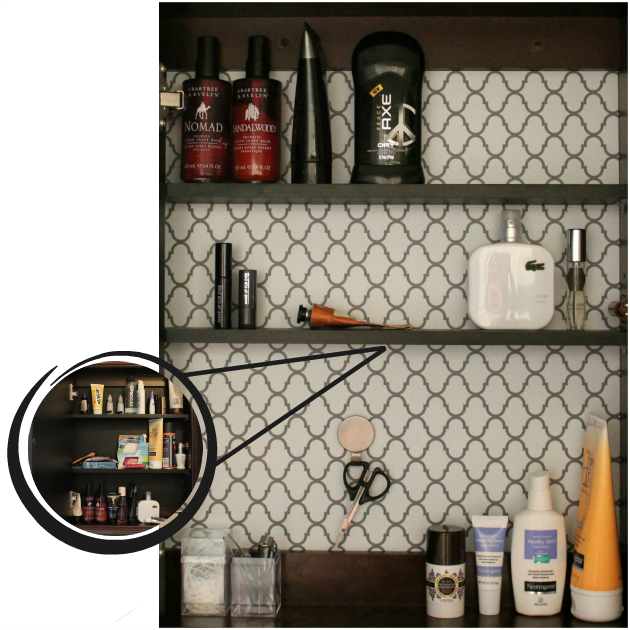 A magnetic strip to hold your tweezers and bobby pins, a cup to store your toothpaste, or a small acrylic shelf to utilize vertical space. I lined the back of my cabinet with a patterned contact paper to add visual interest. It is a nice little unexpected surprise. Who says a tiny cabinet had to lack style?! I simply measured the inside of the cabinet, cut out and applied the contact paper. I used a credit card to smooth out the bubbles. I also added a hook to hold my scissors, two small clear boxes to hold my special floss and tweezers and fingernail clippers. All the items I used are listed below. Tomorrow your task will be area below your bathroom sink. 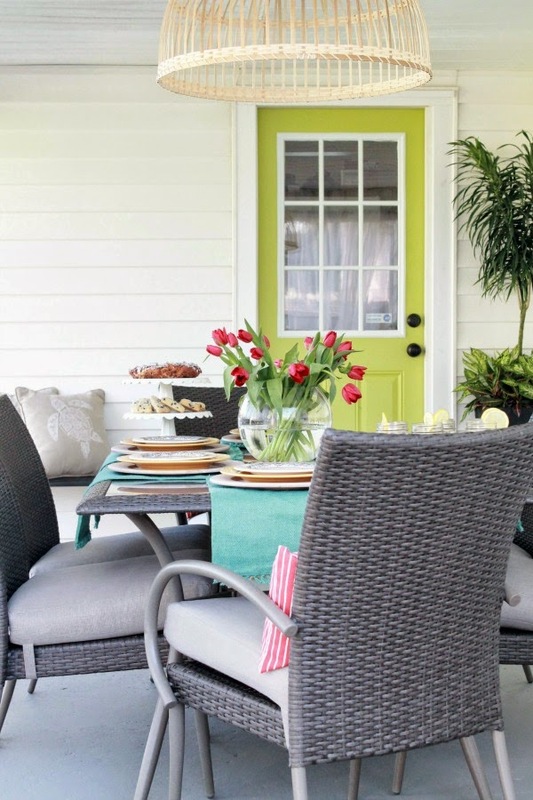 Remember to post your pictures on instagram using @chippasunshine and #csletsgetorganized. See ya soon! i love the quatrfoil. It adds such a nice punch to the cabinet. I dont have a medicine cabinet, but I do plan to participate in this challenge depending on your next one. 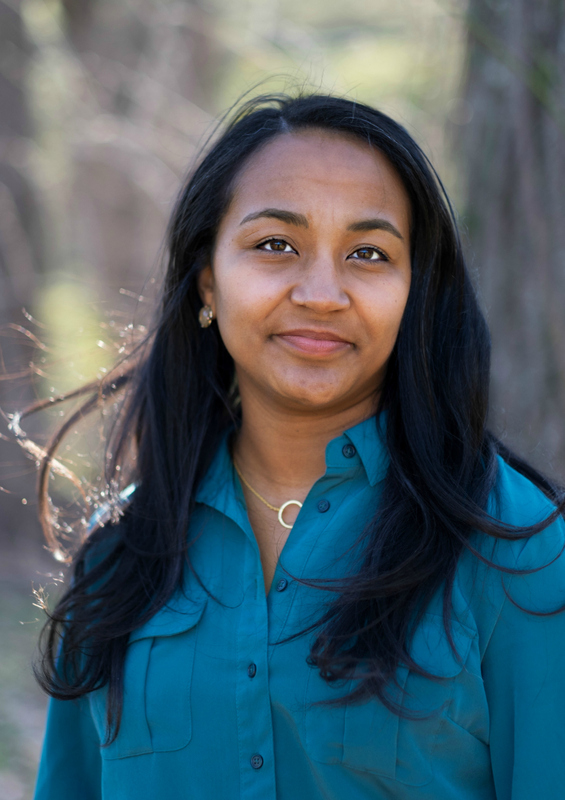 Bravo, Darnetha! Your cabinet looks so good! Love the patterned paper. looks so cute and well organized! 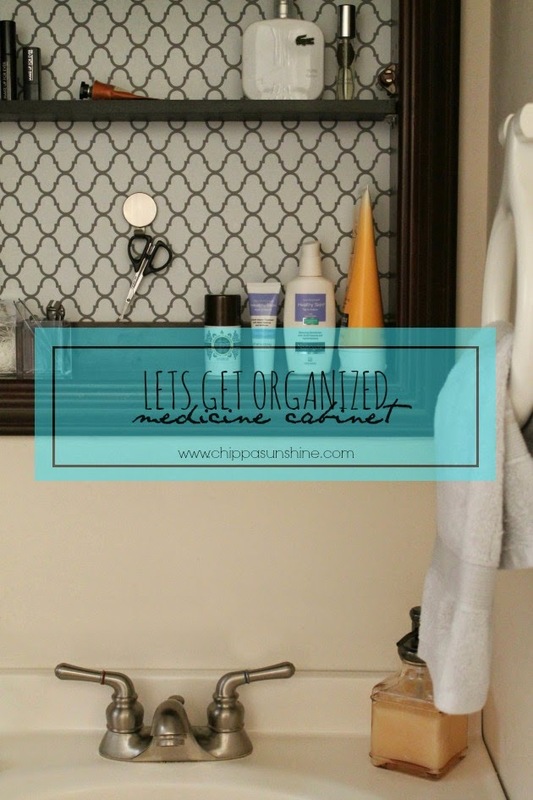 We don't have a medicine cabinet - but if I did, i would totally be using your tips!! Yey! one down, a couple more to go! love the pattern you used too! So cute with the patterned paper. And that little hook is awesome!